Click on and select the customer. 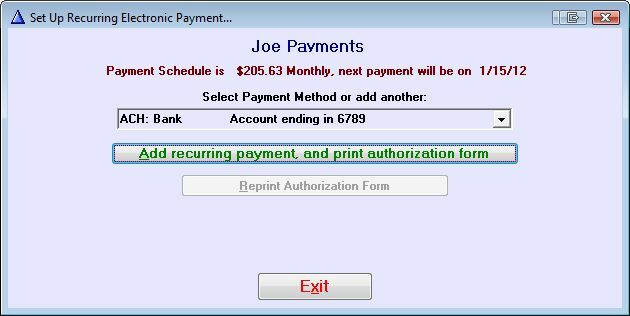 The customer MUST be present to activate recurring payments. Clicking on will go to a web page in which the information can be securely entered. Clicking on will direct to a Frazer screen in which to enter the appropriate information. 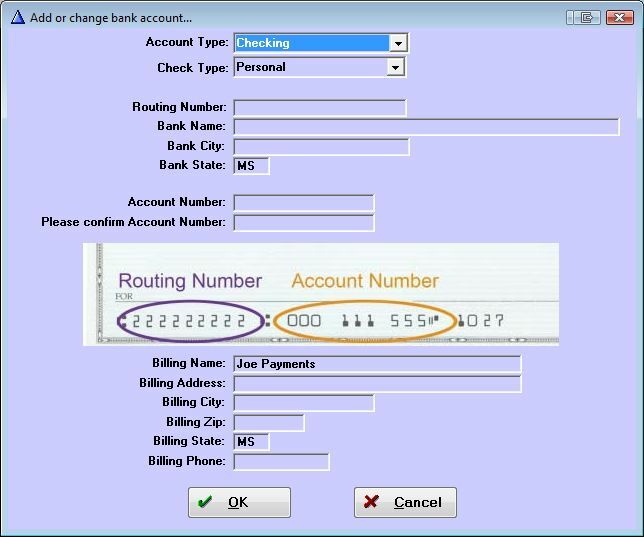 After entering either credit card or bank account information, the option to add the payment and print an authorization form becomes available. 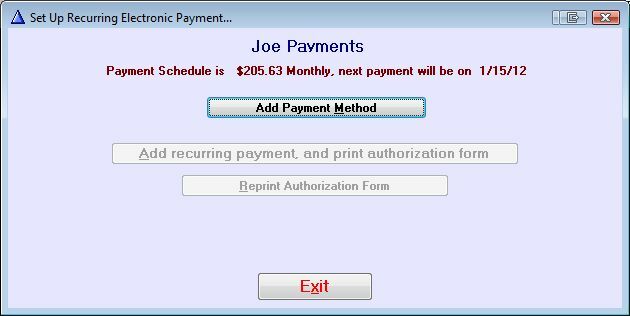 More than one payment method can be entered, either as options for one time electronic payments or to change the source of the recurring payment at a later date. 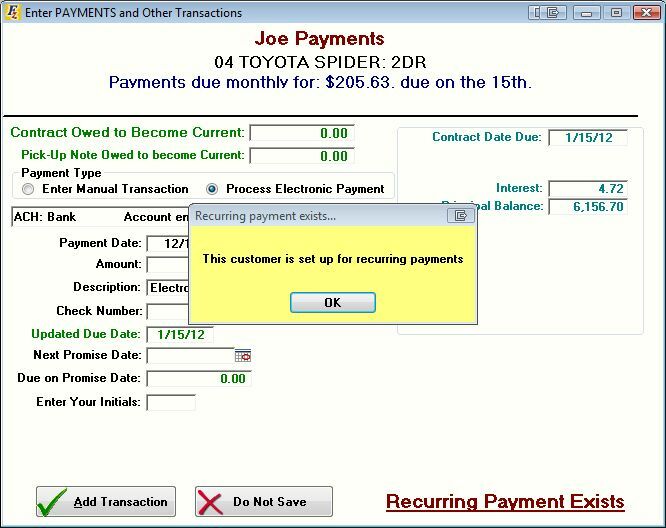 After a customer is set up for recurring payments, a reminder will appear in the Enter Payments and Other Transactions screen. 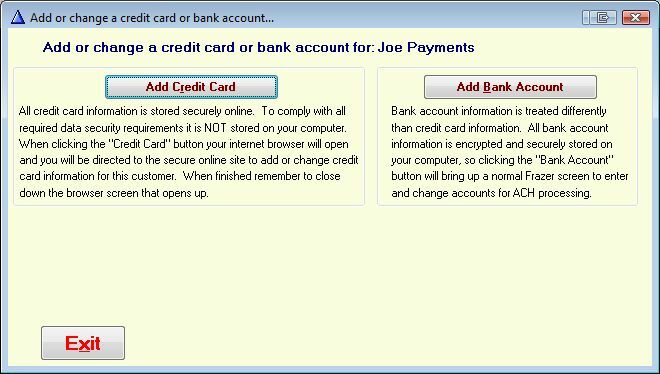 Other payments may still be entered for the customer, whether manual or electronic (i.e. payments for fees or repair balances). Next: How to Process Recurring Payments.